AS Roma have today launched an exciting new development to their already sterling Football Social Media strategy – player and staff curated iTunes playlists. The Italian giants are rolling out iTunes playlists curated by their first team players on their official website and that can then be downloaded on iTunes. Pablo Osvaldo is the first to let the world know his music tastes, as Roma update the music page on a weekly basis. Osvaldo’s musical tastes include everything from Leonard Cohen up to Metallica. Music has always been a huge part of the beautiful game – with terrace chants and anthems ever popular. Furthermore, in recent years the image of footballers equipped with headphones as part of their pre-match ritual has become standard. “As we looked to expand the contact between players and fans, we thought a nice outreach would be via music. We have a relationship with Apple via our affiliate network agreement and it was easy to setup playlists. 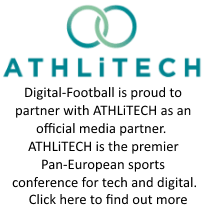 Digital-Football.com has long advocated that clubs use social media as a way to bridge the gap between fan curiosities and the superstar lifestyle of a professional football. Content and campaigns like this provide fans with insight into their idols life and create a stronger sense of affinity and privilege with the brand, which in turn equates into customer retention and brand loyalty. AS Roma are no stranger to fan engagement and digital innovation – having been the first European football club to use Pinterest and a fantastic social media strategy – so it’s no surprise to see them be the first to combine iTunes playlists, players music tastes, social media and their website into one unique portal.